Mainz - 1. 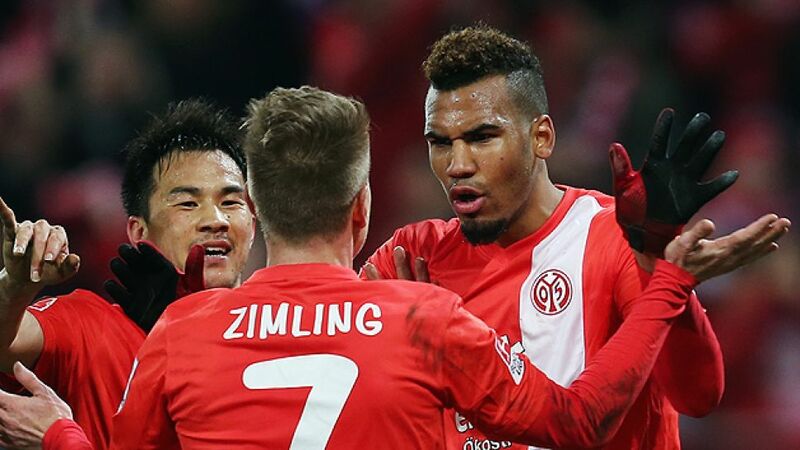 FSV Mainz 05 super-sub Maxim Choupo-Moting thought his team were well worth their 2-0 win over Hannover 96 in Friday's Matchday 21 opener. For the Lower Saxons, however, it was another difficult day on the road. Maxim Choupo-Moting: We didn't start the game that well, but we stuck at it and improved as the match went on. They almost equalised at the end, but those are the best type of wins. It's the little things that make the difference, and I think we deserved to win. Johannes Geis: It was a top performance in terms of the way we battled and fought. We've got some really good footballers and we have a great shape in our team as well. This was a really important win. Lars Stindl:: Our first-half performance was very good and we made it very difficult for Mainz, but unfortunately we couldn’t get that goal, even though we gave it everything in the second half to get an equaliser. I think there was more in this game for us. Ron-Robert Zieler: Unfortunately we couldn’t build on the performance we gave in the first half, but if you want to get something away from home in this division, you need to do that for two halves and not one.